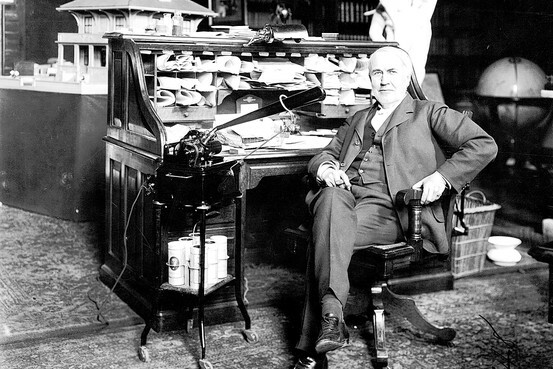 Mark Twain, Thomas Edison, Albert Einstein and Steve Jobs had messy desks, just like most other geniuses. The desk was invented around 1,200 AD and while the technology upon it has evolved, the desk itself has remained the same: a flat-surfaced work area accompanied by drawers and cubbies for storage. 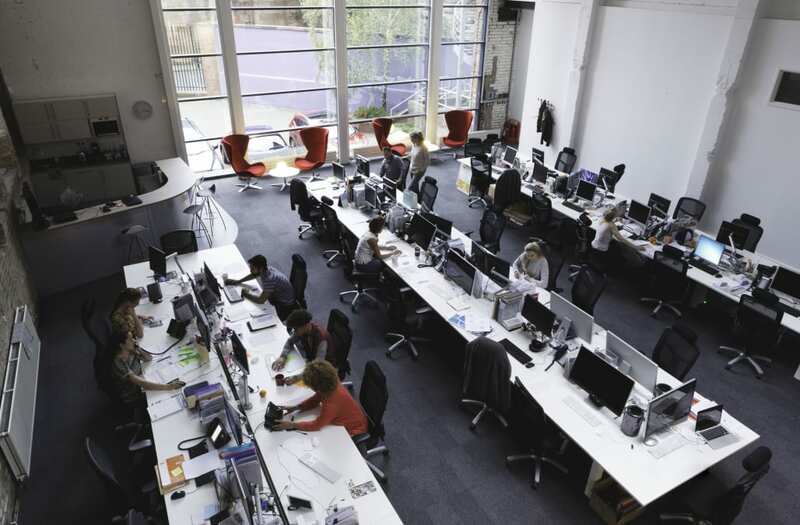 Today's efficiency experts insist that people are more productive when their desk is uncluttered, with "a place for everything and everything in its place." That's the thinking behind Inbox/Outbox bins. "Participants in the messy room generated the same number of ideas for new uses as their clean-room counterparts. But their ideas were rated as more interesting and creative when evaluated by impartial judges." "That messiness and disorder can be so useful wouldn't seem such a counterintuitive notion if it weren't for the bias towards neatness programmed into most of us. Specifically, people tend to ignore the cost of neatness, discount the possibility that messiness can't always be excised no matter how hard it's fought, and trust the idea that mess can work better than neatness." Indeed, as I pointed out in a previous column, people who obsess about "Inbox Zero." Geniuses have something better thing to do than futzing around with filing systems, electronic or otherwise. So if your work area, like mine, is usually a mess, it's time to stop apologizing to the neat-freaks and start feeling good about our ability to prioritize. 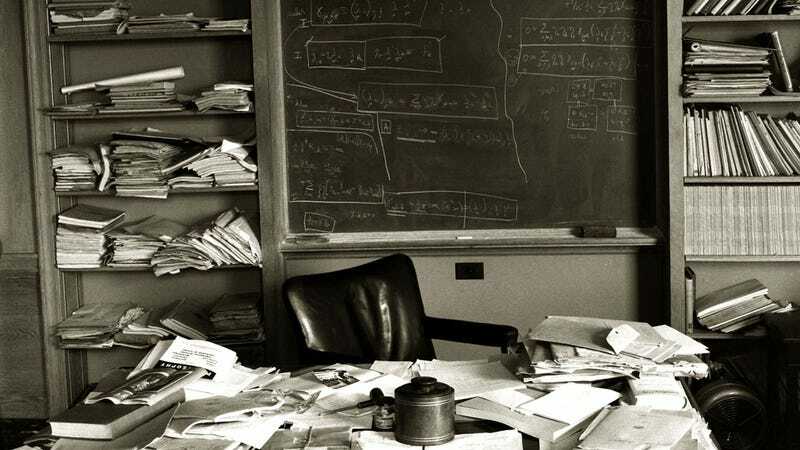 While our cluttered desks may not prove we're brilliant, they do show that we might be geniuses.